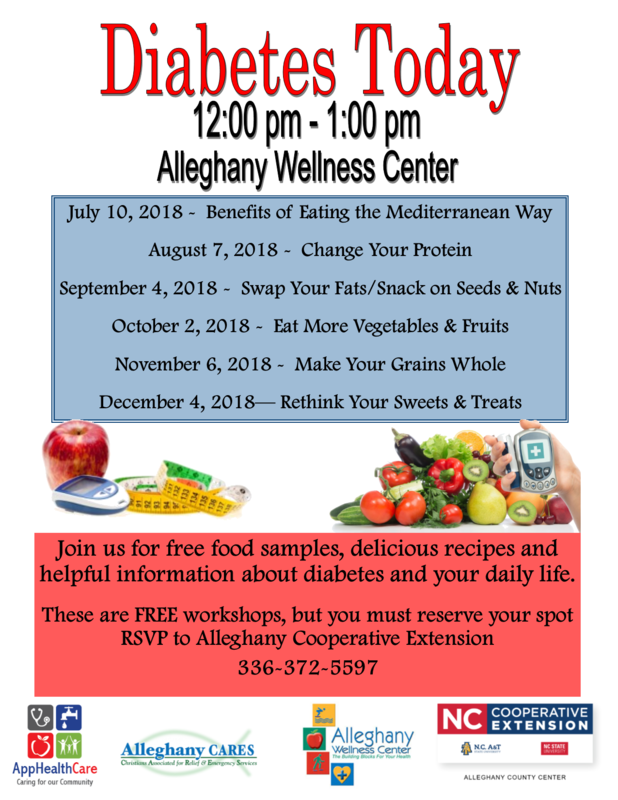 Join us the first Tuesday of each month from noon to 1 p.m. for Diabetes Today educational classes. These classes are held at the Alleghany Wellness Center and are FREE to those who attend. Please RSVP to 336-372-5597.